This listing presented by Greg Clarke. Contact Greg by phone: 250-869-9119 or email direct here. INVESTOR ALERT, below assessed value! Bright 3 bedroom, 2 bath home with fully contained in-law suite (2 bedrooms, 1 bath) with separate access on lower level. Open concept, large maple kitchen with quaker style cabinets & centre island, sliding glass doors off dining area to deck and bright living room with gas fireplace plus master bedroom has walk-in closet & full bath, C/A, BI vac, & HE furnace and all appliances. 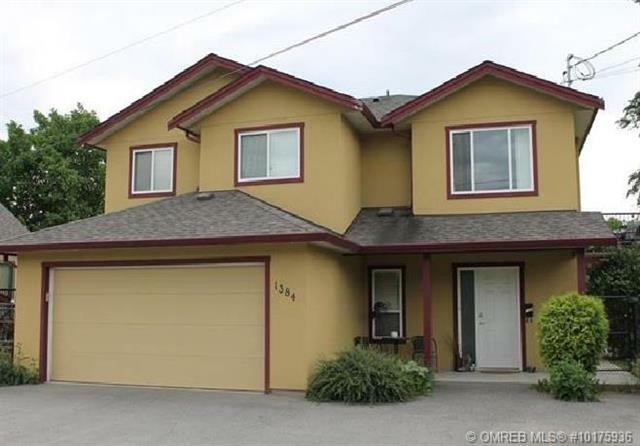 Fully fenced yard, double garage, storage shed and lots of parking! For more information contact Coen at 250.864.5353 or visit www.VWhomes.ca. Display of MLS® data is deemed reliable but is not guaranteed accurate by the OMREB®. Copyright 2010 by the Okanagan Real Estate Board Cooperative Ltd. and the REALTORS® Association of Okanagan. All Rights Reserved. Copyright © Greg Clarke Kelowna Realtor All rights reserved..